Crafty Vapes are wonderful on their own, but they can be made even better with the addition of a few Crafty vaporizer accessories. When the time comes, it is nice to be able to have Crafty replacement vape parts that are ready to use. Crafty offers a power adapter that utilizes a USB charger for easy charging virtually anywhere. We even offer a 12-volt car charger for convenient charging on the go. For even more power, grab a Power Bank that is composed of a powerful 6600mAh lithium ion battery with enough power to recharge your vaporizer twice. Accessories offered here also include a cooling unit that is designed to cool down your vapor for a more pleasant hit each time. You can purchase a mouthpiece set that includes 4 mouthpieces for the Storz and Bickel cooling unit so that you are always ready if something happens to one of them. You may also purchase a wear and tear set. This set features Crafty parts for replacing elements on the cooling unit, leaving your cooling unit in the best possible condition. For your Storz & Bickel vaporizer, you can even choose to add in additional seal rings should you lose one, a number of different mesh screens in different sizes and varying textures, a liquid pad set for use with concentrates, filling chamber tool sets, and a loading aid tool, which makes loading and filling your Crafty vaporizer a dream. Really great store - Review by Geneva E.
This is a really great store. I called you and got connected to an actual person in only minutes and got my answers quickly. It was clear that the rep was familiar with the products, which was great. 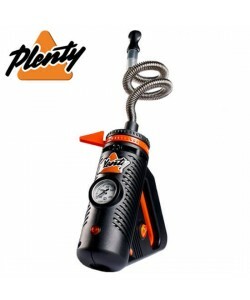 I recommend VaporPlants - Review by Sunny J. Thanks for all of the excellent communication on your part during the entire ordering process. I was nervous to buy my accessories online, but it was reassuring that I was able to track my order on this site so simply. The order came in excellent condition and worked just as advertised. I definitely recommend Vapor Plants to anyone. I love Vapor Plants - Review by Joshua D.
I have bought many different items from you, but the last thing I got I was able to pick up with the help of your representative. They were great at helping me pick out what was best for me and I am really satisfied with the product. Through every purchase I made, I have gotten emails that answer my questions quickly and efficiently. It is also great that I can call the site whenever I have an issue without hesitation.